Let me tell you, I’m thankful for the state of Kentucky, because they know how to show up in full force for Camo Friday. After posting my first Camo Friday with Snickers, I received an e-mail regarding another fun dog. Well this story definitely tugged at my heartstrings, and knew it was perfect for a Camo Friday feature. Meet Dingy! 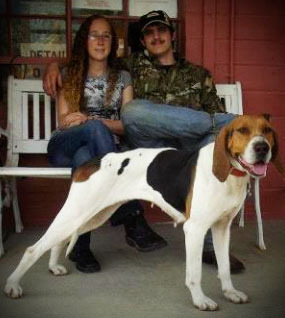 Dingy is Treeing Walker Hound, and a previous shelter dog. I’ll let Sarah, tell you the rest in her own words. Sarah also said that her husband has a Facebook page called “Shelter Hound Rescue,” the purpose of the page is for people to share information on hounds up for adoption and to ultimately help more hounds get out of shelters and back into the woods. 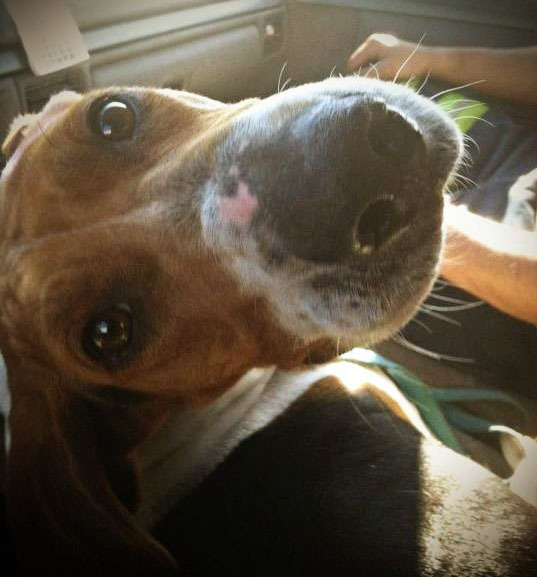 Thank you Sarah for sharing Dingy’s story! I don’t know about the rest of y’all but I love heartwarming stories, Sarah and Dustin truly have big hearts. and with that… Happiest of weekends!